SW Apartments offers 1, 2 & 3 bedroom apartments. Please select a unit that you like, fill out your name, number, and email, and you will be redirected to our quick and convenient online application. Not seeing what you're looking for? Availability changes every day, if you tell us what your needs are we’ll call you when availability changes. All room dimensions are approximate and may vary by apartment. Are you on the lookout for your new living space? 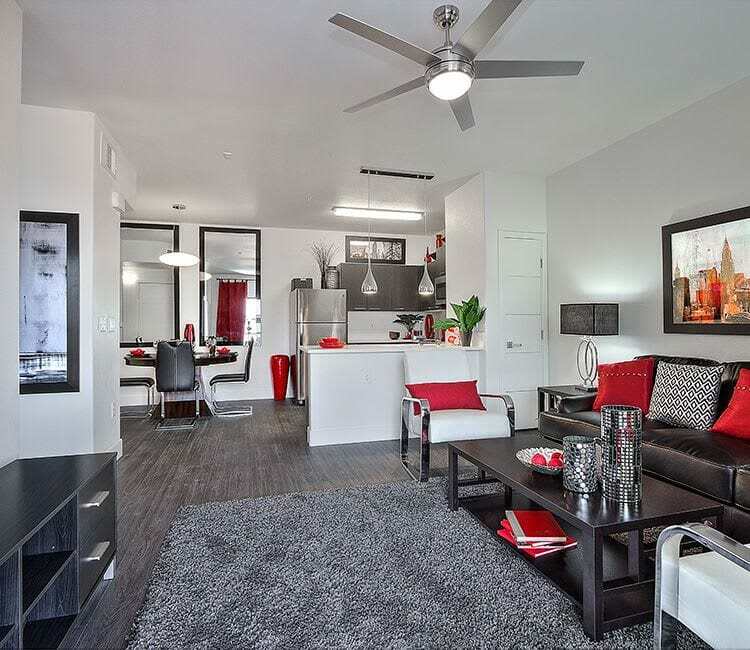 Whether you are a busy professional at Harry Reid Technology Center, college students at UNLV, or someone in between, your new home is waiting for you at SW Apartments. We pride ourselves on offering exceptional apartments and townhomes for those seeking Las Vegas luxury. With 1, 2 & 3 bedroom Las Vegas, NV, apartments for rent in Sovana – available in 14 distinct and spacious floor plans – we make finding the right home at the right price fast and easy. The luxury townhomes and apartments at SW Apartments offer impeccable design and exceptional features. With spacious, open-concept living spaces and luxurious upgrades, you’ll love returning to your sleek and comfortable home. If you are the chef in your household, take advantage of your top-of-the-line kitchen. Featuring deluxe stainless-steel appliances, chic quartz countertops, modern custom cabinetry, and a timesaving dishwasher, you can prepare everything from easy weeknight dinners to impressive holiday feasts. To help you keep your home looking clean and organized, each apartment includes a washer and dryer and spacious walk-in closets. Plus, you can stay cool throughout the year thanks to the refreshing air conditioning and ceiling fans in every room. Better living is within reach at SW Apartments. Give us a call to setup your tour of our Las Vegas, NV, apartments for rent.